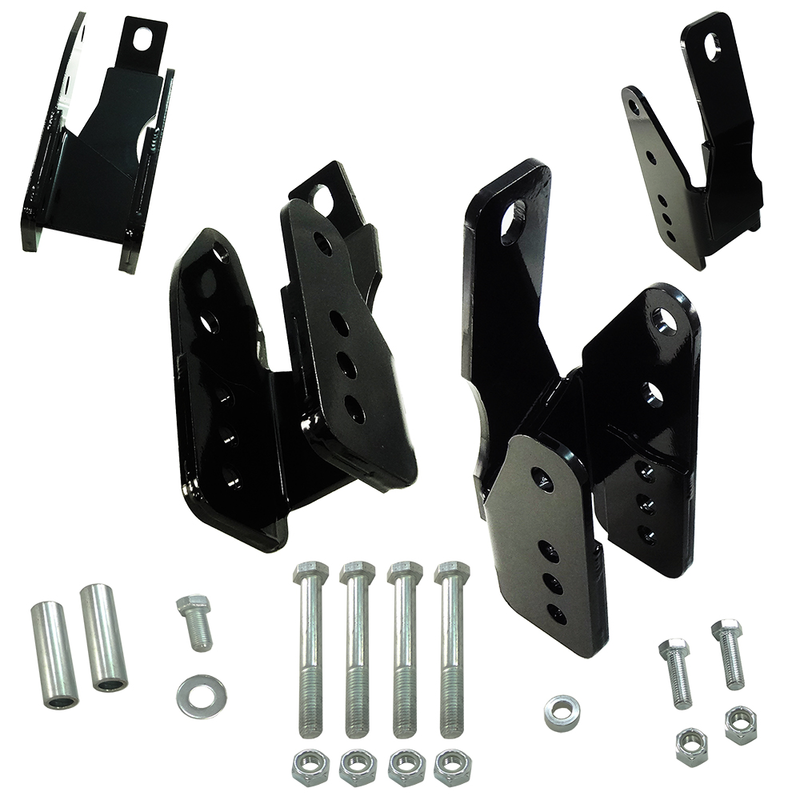 All new UPR's Pro Series Lower Control Arm Relocation Brackets are designed to correct the instant center geometry that changes when you lower your 2005-2014 Ford Mustang. This reduces the amount the car wants to squat on launch, which gives you better traction and better 60 foot times. Now with three relocated control arm mounting locations to choose from. Made from 1/4" thick steel with side reinforcements at the control arm stress points and 1/4" thick back straps. These were developed to handle the rigorous torture of the hardest launching high horsepower Mustangs. As well as the Street and all out Road Race Enthusiasts who want to push their car to the limit without question. 2005 2006 2007 2008 2009 2010 2011 2012 2013 2014 Mustang GT V6 GT500 4.6L 5.0L Coyote Steeda Shelby Saleen Roush vehicles Clears UPR Rear Sway Bar Relocation Kit. Stock control arms will need to be modified to fit the top mounting location. No one else can stack up to the bold clean styling of our aftermarket Billet dress ups, Street Strip & Racing Suspension & Performance Parts for your late model American Muscle Car!